Are you getting married? I am extremely excited to offer wedding invitation design to my couples this year. I have partnered with stationery printer Basic Invite for custom printing. They just introduced Rose Gold to their foil printing line, and when I ordered new samples for this blog I decided to try it out. I am very happy with the samples. This blog is an overview of the services offered through my partnership with Basic Invite. 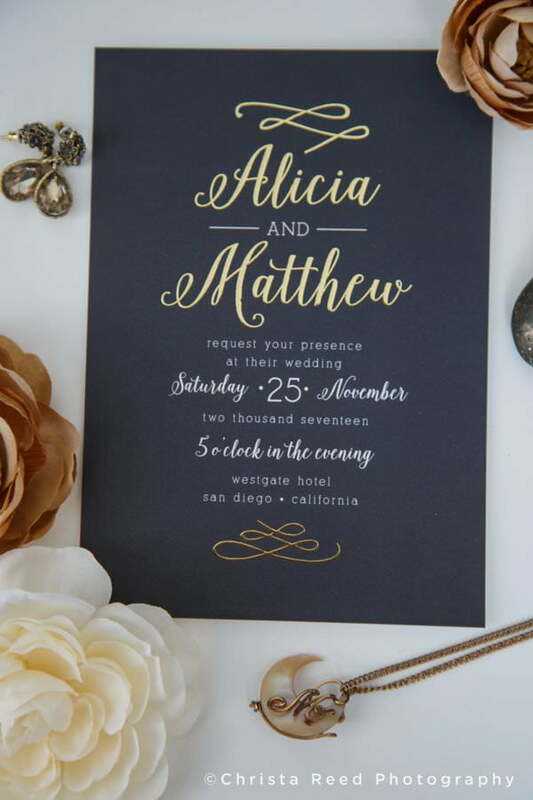 The best part of my partnership with Basic Invite is that I have the freedom to custom design stationery for my couples and send it to print through this printer. Together we can start with one of their designs or create something completely custom for you. You are not limited to only the website selection of design templates. The biggest requirements I have for wedding vendors with whom I partner is they have a high quality of products available and excellent customer service. I am extremely pleased with what I’ve experienced from Basic Invite during our partnership. They stand behind their work with a Love It Guarantee on orders. When ordering wedding invitations online it’s hard to see the quality of the paper and printing until you are holding it in your hands. 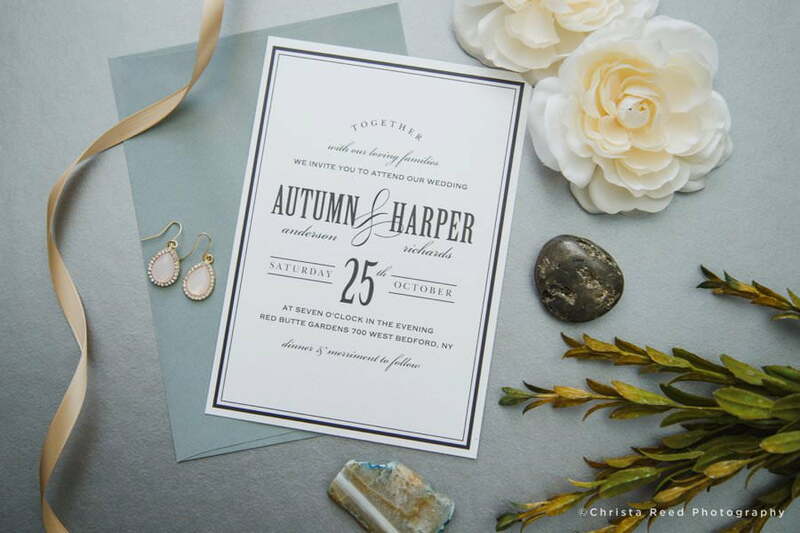 Basic Invite gives you the option to order a printed sample of your invitation to preview. When you work with me we will do this. You will be able to proof it and see exactly how it will print before placing your final order. 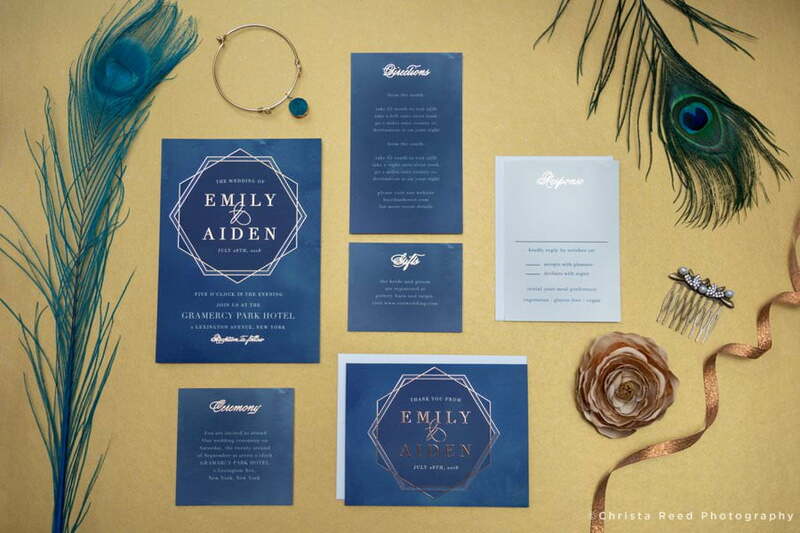 They have over 180 printed colors to choose from for stationery, including foil options. 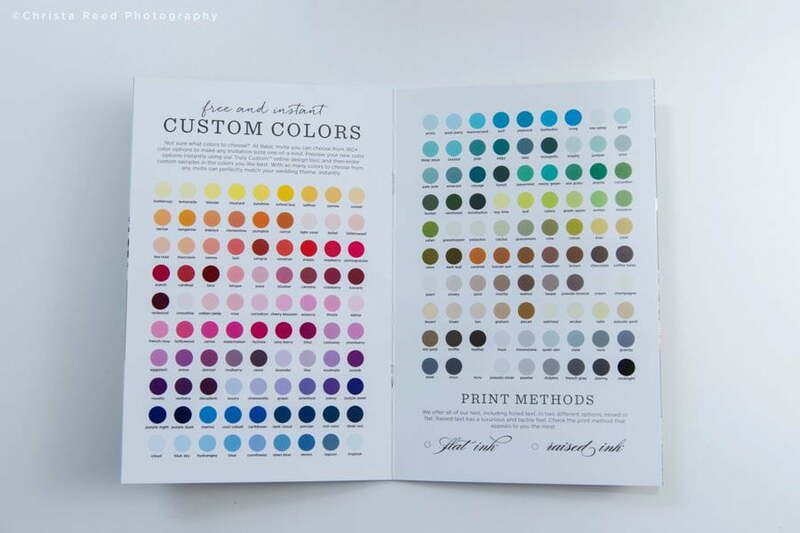 This means you can customize your colors to match your wedding as closely as possible. When I am designing stationery I can use Basic Invite’s color chart to make sure our design color choices coordinate correctly with their envelopes. They have over 40 envelope colors to choose from. Incredible Variety of stationery Designs. Ordering all your stationery from one vendor will keep you organized and save you so much time. You can do that through Basic Invite. The website offers over 800 wedding invitation sets. 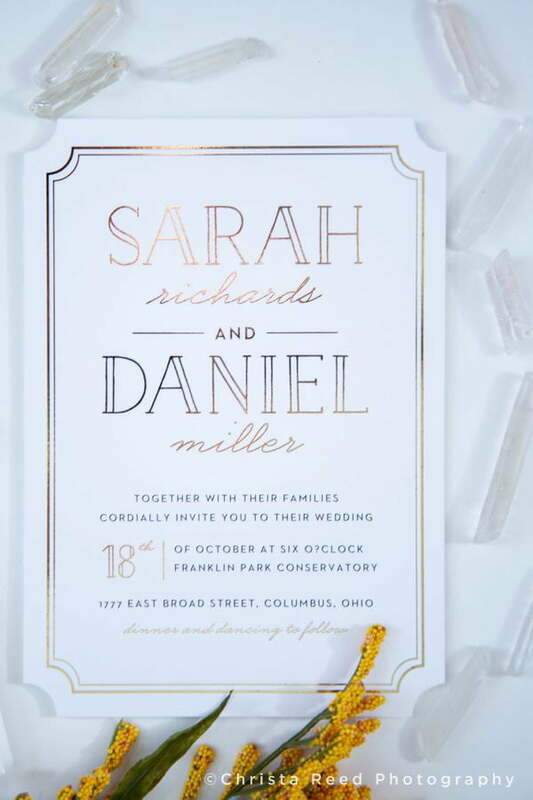 There are modern designs, like geometric or watercolor, and more classic wedding invitation styles too. Coordinating save the dates, formal invitations, enclosure cards, menus, programs, custom guest books and thank you cards can all be ordered from the same place. A modern and clean white wedding stationery set, with save the date, invitation, directions insert and thank you card. Wedding Website and Address Collection Service. 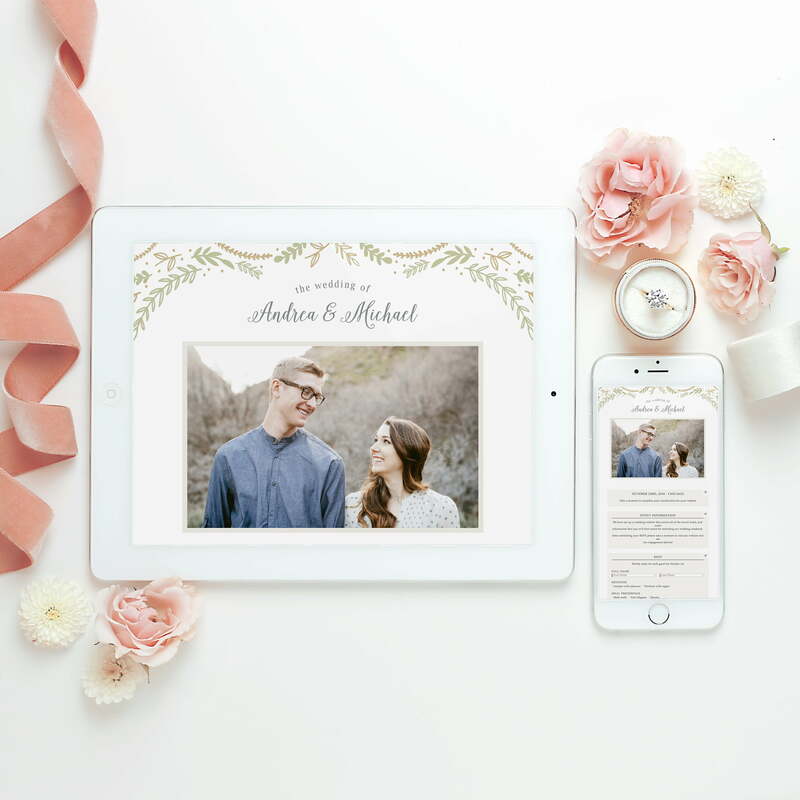 In addition to the printed stationery you order for your wedding, Basic Invite gives you a free personalized wedding website to match your design. When you work with me I can help set this up. A free address collection service is also included with your order. You receive a landing page and link to share with your guests. Collect their addresses, and you receive free envelope printing. This is another time-saver that adds value to working with Basic Invite. 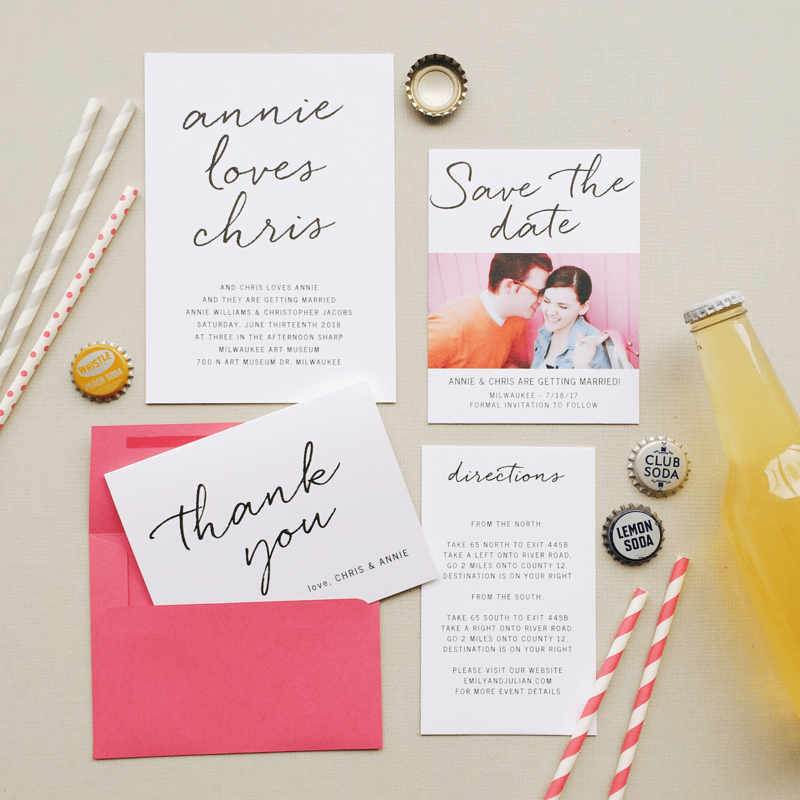 Personalized wedding websites to match your invitations are complimentary from Basic Invite. If you are looking for someone to custom design wedding stationery for you, send me an email and we can talk about your needs. You can learn more about Basic Invite on their website, or visit their social media sites. I especially like looking through their Instagram photos which can provide fantastic inspiration. A special code is available to use on their website if you choose to order invitations direct from the printer. When I feature a vendor on my blog, it will always be based on my honest experience with the vendor. Sometimes I receive compensation for features. I will only feature vendors and products I believe are truly helpful for my clients, and I have used myself.